This beautifully illustrated book chronicles the art of William Lee Golden. The legendary "Mountain Man" is now climbing to new heights in the world of fine art. Beginning with his very first painting, "First Cut," in 2002 through his 2010 "Monet's Water Garden," this book gives insight to each painting. The multi-talented artist highlights some of the painting with special narratives. 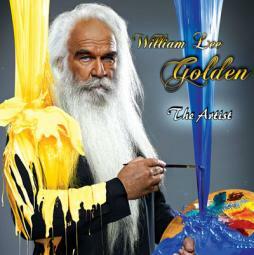 Here is a preview of a song on my new cd titled "William Lee Golden - The Artist." It features and in-depth interview conducted by Kix Brooks about my art. There are six songs about painting featured during the interview. "The Singing Painter," "Paint Me A Birmingham," "I Go Back," "When I Paint My Masterpiece," and this classic, "Mona Lisa." Also featured on the cd singing back up are Jimmy Fortune (Statler Brothers), TG Sheppard, Kelly Lang, Sonja Isaac (The Isaacs) and Mark Lowry (Gaither Vocal Band). Jo-El Sonnier performs on a song as well. The cd will be released during my art exhibit @ The Tennessee State Museum June 3-13, 2010.